100% Original. 100% Brand New. 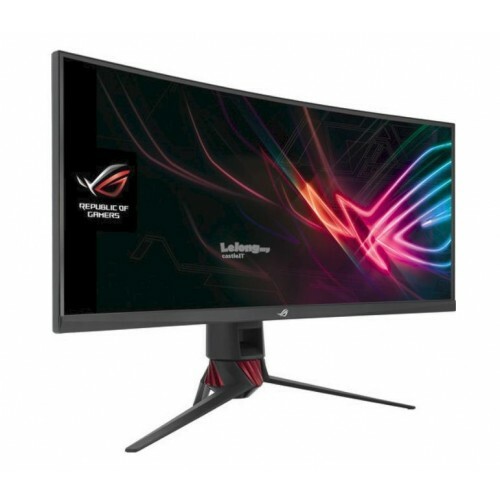 Product specification: Screen Size: 34"Screen Mode: UW-QHDPart number: UM.CX0SM.P01Maximum..
DisplayTrue Resolution : 2560x1440	*Response Time : 1ms (Gray to Gray)Viewing Angle (CR≧10..
DisplayPanel Size: Wide Screen 27.0"(68.47cm) AutoColor Saturation : 72%(NTSC) Panel ..
DisplayPanel Size: Wide Screen 27.0"(68.47cm) 16:9Color Saturation : 72%(NTSC) Panel ..
DisplayBrightness(Max) : 300 cd/㎡Viewing Angle (CR≧10) : 178°(H)/178°(V)Panel Type : ..
DisplayPanel Size: Wide Screen 27.0"(68.6cm) 16:9Color Saturation : 100%(sRGB) Panel ..
34-inch Ultra-wide QHD (3440 x 1440) curved monitor with a 21:9 aspect ratio for panoramic gamingNVI..